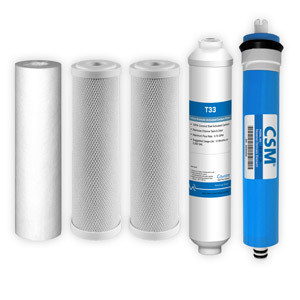 ROK-5M-24BST contains the highest quality replacement filters available for a 5-Stage, 24 GPD Reverse Osmosis System. Pentek is the largest brand in the industry, and Filmtec membranes have the highest contaminant rejection rates. 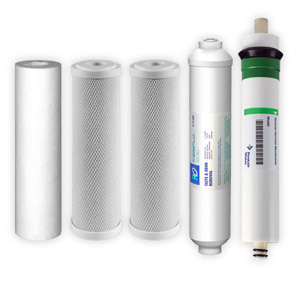 All cartridges in this kit are NSF Certified. 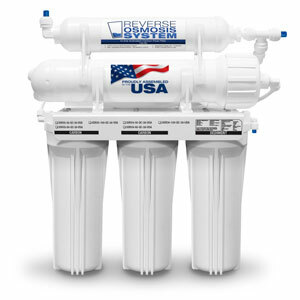 This kit includes the following standard size replacement cartridges for a 5-Stage, 24 GPD Reverse Osmosis System like the one shown below. 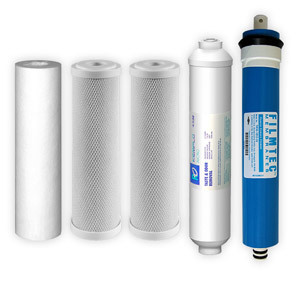 Dow/Filmtec is the best performing Membrane available.